I'm doing some research on Justin Peck's In the Countenance of Kings for a lecture I am giving in August on contemporary ballet vocabulary. I'll be using Peck's ballet next to excerpts from Sleeping Beauty as a kind of case study. 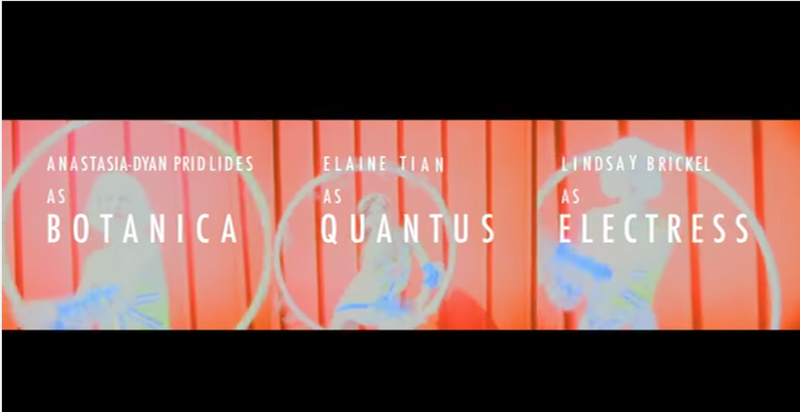 The music for Peck's ballet is from Sufjan Stevens' score "The BQE". (Or, for non-New Yorkers, like me, the Brooklyn Queens Expressway.) 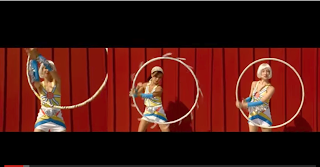 I don't know if anyone noticed this, but the film that Stevens made to accompany the score has some bearing on the ballet. 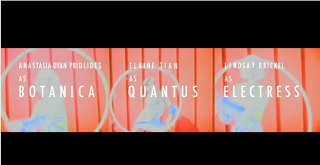 There are three hula hoop dancers in the film named "Botanica," "Quantus," and "Electress" - the same fanciful names given the female leads in the ballet, and also the three initials from "BQE." Some costume details are similar for these characters between Stevens' film and the ballet. It's worth checking out the film on youtube. Some of its visual effects show up in the ballet's choreography, like how the cars merge together and form amoeba like groups. The organization of the highway, how everything is both orderly and chaotic at the same time, with cars changing lanes, on and off ramps, etc., captures the way Peck's formations group logically but in no way strictly geometrically. 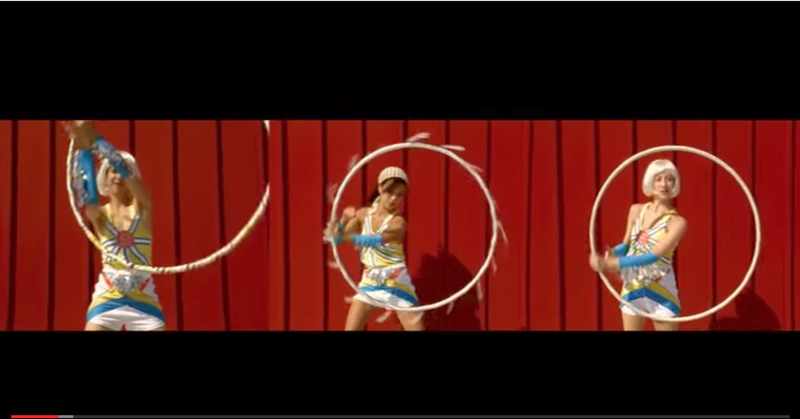 I love the film, and it's given me a different way to look at the choreography. Highly recommend. On Sunday I attended the second women ballet choreographers' mini-conference at the Djerassi artist retreat center in Woodside, CA. I hope this event, which is put on by Kathryn Roszak of Danse Lumiere, will continue to be an annual tradition. This year’s program was more interdisciplinary, including singers, composers, opera directors, and community and business leaders on the program. Whatever we may have lost on the specific issues facing women ballet choreographers, we gained in breadth and new perspectives. In our hometown of San Francisco there are definite signs that the lack of diversity among the choreographers on San Francisco Ballet’s programs of late is being rectified. The New Works program slated for April 2018 includes Annabelle Lopez Ochoa, Cathy Marston, Dwight Rhoden, and, I believe for the first time ever, a work by long-time Bay Area choreographer Alonzo King. I am really proud that I had a hand in securing the SFB visiting scholar for 2017, Professor Thomas De Frantz, who gave illuminating lectures on the history of African Americans in ballet and facilitated many conversations concerning diversity with SFB students, patrons, and staff. The desire to be inclusive is absolutely there, but there are many barriers. My favorite part of the Djerassi event this time was the performances. The ballet excerpts by Dalia Rawson and Kathryn Roszak both centered on how female artists speak to one another across generations – whether to their former selves, or to “ancestors” who inspire them. In “After Dreaming,” Rawson’s piece, four dancers in black Mozartiana-type dresses exchanged movement phrases, with the group sometimes “policing” one other by physically drawing back another dancer’s arm, preventing further movement. The ballet was about Rawson’s experience of having to stop dancing after receiving a devastating medical diagnosis, but expanding outward, it also felt like a requiem for what has been left unexpressed by female artists. Roszak’s piece was set to a sung version of Emily Dickinson poetry (composed by Gordon Getty). With the live singer (Lisa Delan), “voice” was very much at the forefront, not only through the actual use of the voice of the singer, but also through the very personal solos expressing aspects of Dickinson’s poetry and/or character. They were perfect for the small space we were in, being very intimate and conversational in nature. Former San Francisco Ballet soloist Dana Genshaft shared with us her work at the San Francisco Ballet school teaching improvisation. This effort has borne fruit. Not only did it launch Genshaft as a choreographer, but it’s been a driving force behind several collaborations involving the SFB trainees. Dana showed us excerpts of one such collaboration, with the SF Jazz Youth Orchestra. This performance, based on what I could see, deserves to be on the main opera house stage for its fleet-footed musicality alone. Improvisation is such an important tool for generating movement, and the fact that Genshaft is teaching this technique (Forsythe derived, I think) at the ballet school bodes well for the school as an incubator of choreographic talent. I also hope that she continues to receive opportunities as a choreographer. Genshaft mentioned a dream of doing a full length ballet with a female heroine in modern day fairy tale mode. Perhaps she could collaborate with Audrey Vardanega, a preternaturally talented composer who participated in the Djerassi event. Vardanega shared with us a movement from a ballet suite she wrote when she was ELEVEN that she is now reworking in her graduate program at Columbia. 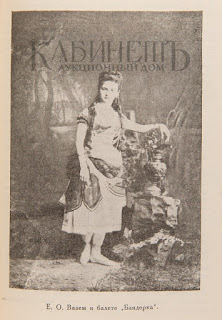 She also wrote the libretto for this ballet, which concerns a young, impressionistic pre-teen and her search for meaning. One of the themes that emerged in the discussion panels is how finding your path as an artist is essentially an improvisatory endeavor. You have to create your own opportunities and you have to wear a lot of different hats. It’s a little lonely sometimes. So, I’m very glad there is this opportunity for artists to get together and support one another. Alexei Ratmansky’s new ballet for American Ballet Theatre, Whipped Cream, is sure to be a big hit. Just when you think the pop surrealist costumes and sets by artist Mark Ryden couldn’t get more over the top, Ryden raises you one with an explosion of colorful, playful, plush kitsch. 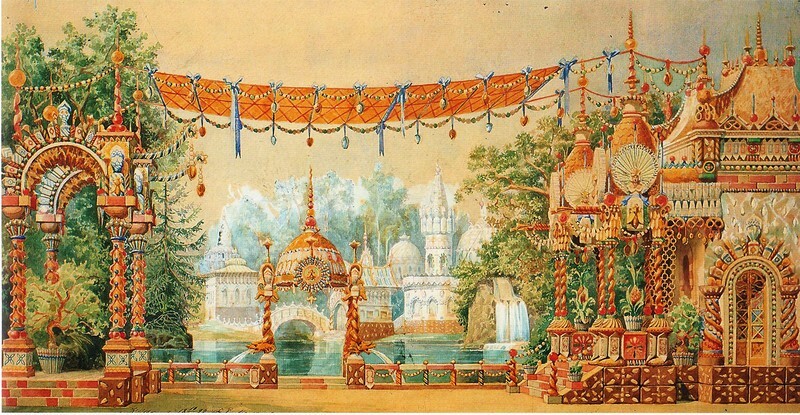 The setting of a Viennese pastry shop, with its dancing delicacies, seems to have fired the imagination of the choreographer; at one point a corps de ballet of whipped cream enters the stage via slide (a playful update on La Bayadere’s Kingdom of the Shades? ), and form peaks and valleys of poufy, billowy cream “whipped” about by an unseen force. The ballet opens outside of a church, where children are celebrating their first communion, including our protagonist “The Boy” (danced brilliantly at the premiere by Danil Simkin). 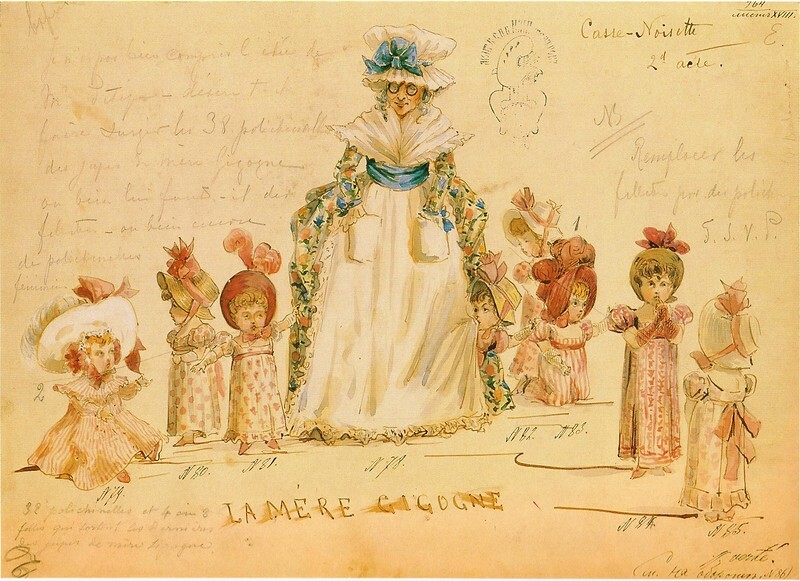 A pink carriage pulled by a life-sized My Little Pony plushie, and an attendant with the first of four enormous heads in the ballet, brings the children to a confectioners’ shop. There, The Boy overindulges in whipped cream and has to be taken to the hospital. Out of jars labeled “tea” “coffee” “cocoa” and “sugar” emerges Princess Tea Flower (Stella Abrera), Prince Coffee (David Hallberg, back from injury), Prince Cocoa (Joseph Gorak) and Don Zucchero (Blaine Hoven). Prince Coffee ultimately chases away the other two suitors, winning the heart of the capricious Princess Tea Flower. Battalions of marzipans, sugar plums, and gingerbread men perform military maneuvers with chocolate pie shields and candy cane lances. Ratmansky gives Princess Tea Flower and her attendants some devilishly tricky choreography, but Stella Abrera tosses it off with a winningly arch manner. The second act opens in a hospital ward, with a brigade of nurses dancing with oxygen container size syringes. The doctor, with the largest constructed head of the evening, menaces just by his presence, taking The Boy’s blood pressure as a creepy moving eye on the backdrop observes the proceedings. Luckily, a new Princess arrives – Princess Praline (Sarah Lane) – who rescues The Boy and introduces him to her entourage. This includes a truly fantastic number of creatures, including a white fluffy “snow yak,” with enormous eyes and eyelashes, a kawaii creature of the north. Sarah Lane looked absolutely ravishing as Princess Praline – doe eyed and gracious, while maintaining an unshakable aplomb in everything she did. Meanwhile, back at the hospital, a trio of alcoholic beverages gets the doctor and nurses drunk. Catherine Hurlin (Mademoiselle Marianne Chartreuse), Duncan Lyle (Ladislov Slivovitz) and Roman Zhurbin (Boris Wutki) are outstanding in this trio. The finale of the ballet is a dizzy, whirling affair, in a newly configured land of the sweets. It’s like the town Swanhilda lives in in Coppelia, but gone wild in pink and with lots of stuffed animal creatures. (And Abraham Lincoln watching from one of the town’s windows – apparently Ryden likes to include him in many of his compositions.) 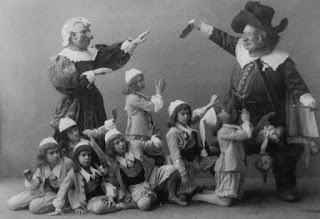 The townspeople toss The Boy in the air like the scene in Don Quixote with Sancho Panza. This is the perfect role for Danil Simkin – he IS the kid in the candy store, with that kind of energy, tamed only by a perfect fifth position. Some kind of Father Sweet crowns The Boy (now clad in sparkly gold) at the end, and it turns out he can eat as much whipped cream as he likes in this new town. The program notes state that The Boy lives permanently there now. It’s kind of like he’s died and gone to heaven. At the very least, he’s escaped the creepy panopticon of the hospital, with its needles, bedpans, and brigade of Nurse Ratchets. It’s poignantly escapist. Whipped Cream offers a complete surrealist vision that is wholly self-contained, never once questioning its own bizarreness. It’s an endearing quality. However this freedom to be nonsensical worked against the ballet at times. It had a parade of costumes feel to it, with random characters that pop out of nowhere. The “divertissement” portion of the ballet happens a bit too early, in the first act. (After a short prologue at the church and in the confectionery shop, The Boy disappears completely from the scene.) 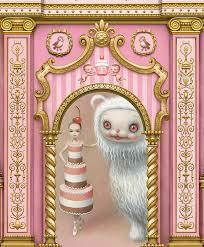 It’s a bit like if Nutcracker started with the Kingdom of the Sweets. Whipped Cream also left me wondering whether the ballet would reveal something more substantive over time. Perhaps it doesn’t need to, of course. But it is somewhat jarring to remember that this is the same choreographer who gave us the Shostakovich Trilogy. (Which also speaks to his range as a choreographer, certainly.) What I felt was missing in Whipped Cream – and which perhaps may become clearer after the seeing the ballet several more times - were the subtle ironic touches that (for example) saved Bright Stream from being merely an exercise in Stalinist kitsch. Some of my least favorite Ratmansky tendencies were evident: sentimental cuteness, predictable boy-girl interactions and sub-plots, and what felt like, and literally was narratively, a simple catapulting over the darker currents of surrealism introduced earlier in act 2. Instead of something uncanny, you get something big eyed and impossibly adorable – a creature who demands nothing from you. I suppose this is the “pop” part of “pop surrealism,” but to me it lacks the subtle bite I’ve come to expect from Ratmansky’s ballets. Whipped Cream was magical and transporting, but not exactly in the way I had hoped for. 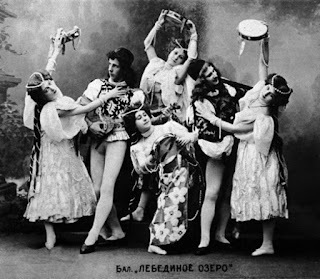 I'm working on a lecture for San Francisco Ballet on what they're calling "classical ballet" and what I'm calling, very awkwardly, second half of the nineteenth century Russian Imperial ballet. Some of these pix are new to me, or at least unfamiliar. They're so interesting, and/or gorgeous, I must share. Look at Carabosse's minions with the crazy googly eyes! Wow! 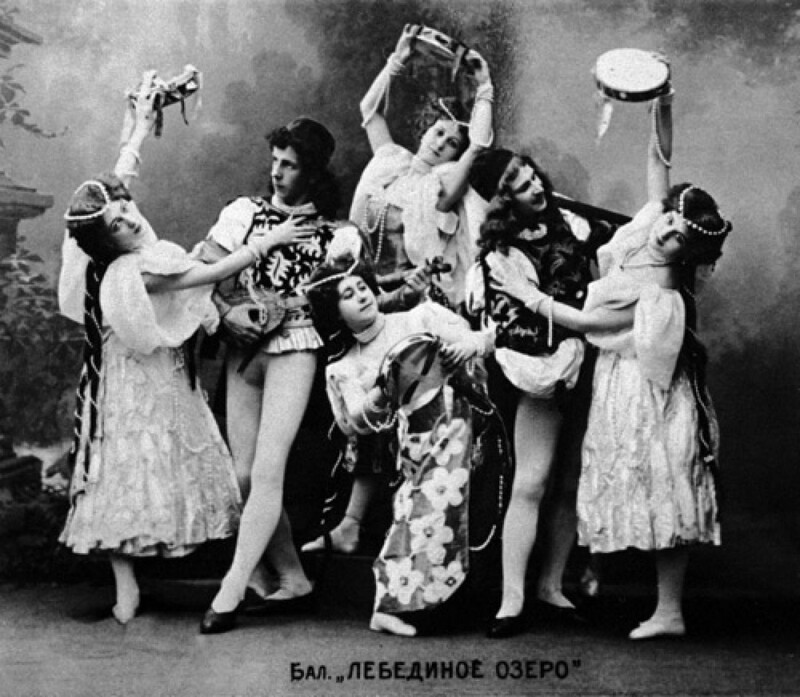 Switching gears here, this is from the Petersburg 1895 Swan Lake. I think it is the Tarantella? 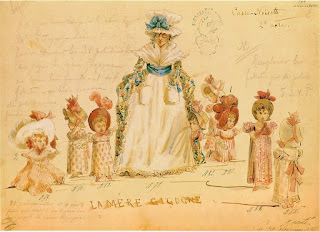 Also had not seen this sketch for Act II Nutcracker. There is no attribution given but I looked it up and M. I. Botcharov designed the 1892 sets. 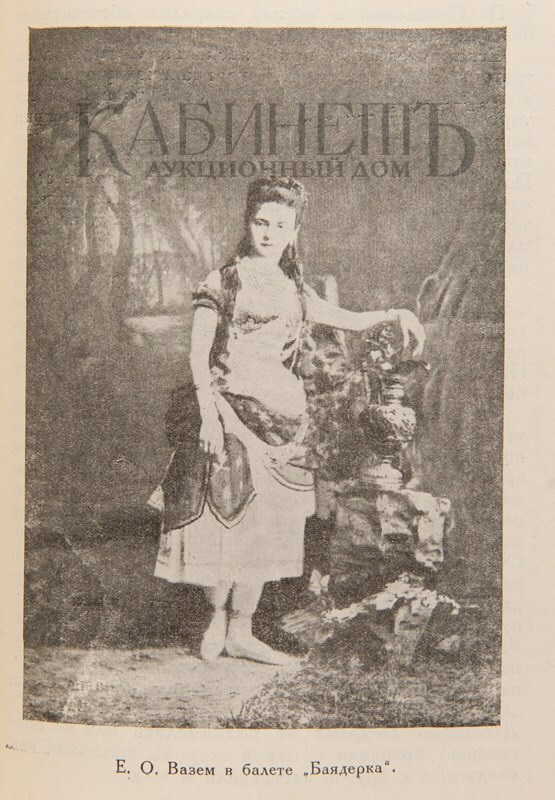 Vsevolozhsky designs for Mother Ginger. He liked to draw caricatures apparently, and something of that style appears here. This one is for sentimental value. 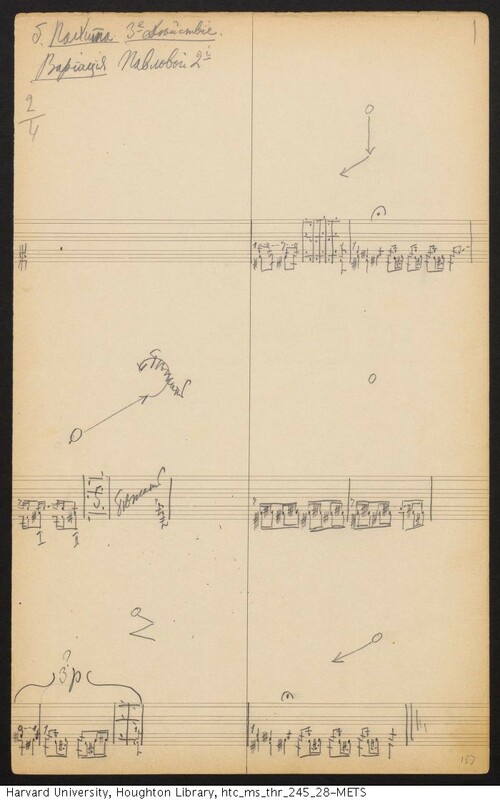 It is the first page of the Stepanov notation for Pavlova's variation in Paquita. I love that the variations are labeled by the ballerina who performed them. Long overdue post. Ever since the Society of Dance History Scholars/Congress on Research on Dance conference in Pomona that I attended (Nov. 3 – 6, 2016) I’ve been thinking about the legacy of authoritarian pedagogical practices in the dance studio. I met at the conference an incredible professor from Arizona State, Naomi Jackson, who writes about dance and human rights. In her presentation she brought up something I think is hard wired into dancer psychology - what she termed the dance world’s “call for self-sacrifice.” This is how dancers are asked to sacrifice themselves, physically, emotionally, spiritually, for an aesthetic ideal or for a choreographer’s vision. Naomi asked us to consider the possibility that this “self-sacrifice” might at some level be emotionally or physically coerced through the myths established around authorship, creativity, and training in dance. She pointed me toward an article by Robin Lakes, “The Message behind the Methods: The Authoritarian Pedagogical Legacy in Western Concert Dance Technique Training and Rehearsals” (Arts Education Policy Review, Vol. 106, No. 5, May/June 2005), which seeks to understand “why so many artists who create revolutionary works onstage conduct their classes and rehearsals as demagogues” (3). Citing memoirs and oral histories by prominent choreographers and dancers in both ballet and modern dance, Lakes analyzes the logic behind abusive but normative pedagogical practices in dance. It’s pretty damning, but the sad thing is, it’s not at all surprising. For some reason, it still seems normal and even desirable in dance to have very harsh and even abusive teachers. Naomi also told me about this amazing “dark play” exercise she does with her students at Arizona State that is kind of like the Stanley Milgram experiment in aim. The students follow her lead in some group exercises that ought to have sent off some warning bells (goose stepping with the heil Hitler hands, separating white students from students of color into separate hierarchic formations, asking partners to throw one another around recklessly). Apparently no one objects to any of this during the class. At the end of the class, the class together deconstructs the lesson, and everyone has an “ah-ha” moment. At that point it becomes clear in a visceral way to students how authoritarian power operates insidiously. Naomi said this exercise was incredibly transformative for her students. (She also acknowledged that it had some ethical gray areas; two students were upset about the deception). In the end, though, she and most of the students thought the deception served a really important pedagogical purpose: to show how extremely vulnerable we all are to following an authority figure without reflecting or questioning his or her practices. No one thinks of themselves as the unreflecting follower, but this exercise shows that when it comes down to it, if we’re not aware of it, that’s exactly what many dancers, not to mention people, default to. And for me the importance of applying this notion of the coercive power of the authority figure to the ballet studio is so paramount, for my own experiences personally and because this exercise speaks to the vulnerability of young people who are taught to do whatever the teacher says. What if that teacher abuses his or her power? This happens, make no mistake. And it is devastating. Boundary violations by an authority figure occur in slow, incremental stages, and by the time you realize it, it’s too late. I'm talking about everything from verbal abuse to sexual misconduct. At the same time, while students need to develop critical capacities to recognize coercive practices, ultimately I don’t think it’s fair to put all of the burden on young people to call out an abusive authority figure; that is primarily the job of the institution and the adults responsible for its mission. So here’s why I think rejecting this idea of self-sacrifice is so important. You don’t stop being a person when you walk into a dance studio. Dance is a process that is never completed; it is not a final product of “perfect technique” – because that simply does not exist. No one has perfect technique, not anyone. (Well, maybe Sarah Lamb of Royal Ballet, but anyway, for everyone else...). The teacher’s job is not to single mindedly try to force you into a preconceived mold, but to help you learn how to think for yourself, to use your body creatively to accomplish your goals, to learn how to adapt a technique to your body (not the other way around). The teacher should be giving you the freedom to respect your body and its limits, and the inspiration to grow and push intelligently in new directions. And I really think that is possible in a ballet studio (I had a wonderful teacher who taught this way). That doesn’t mean you can’t learn to do movements given to you by someone else in the style they ask for; but you have to make them yours somehow, you have to make them breathe. Now that translation is some hard work. Hard but rewarding. I’m not saying that ballet training will ever be easy or that we shouldn’t push ourselves physically. There is joy in that, too. But I think that ultimately if ballet training, even at the elite levels, is going to produce artists and continue to evolve, it’s got to continue to let go of the authoritarian harshness in the studio. Let the students have some agency! Let the students analyze a movement sequence and offer corrections to one another from time to time. Sometimes the teacher needs to let go of “the way it’s supposed to be” and put the development of young artists front and center. If we’re serious about moving the art form of ballet forward, we need to realize that teachers who ask students to obey them unquestioningly, and who verbally and emotionally abuse young people to achieve training goals, do not foster the creative and divergent thinking that is required of a true artist. I saw the premiere of Her Notes, Jessica Lang’s new ballet, sandwiched between Tharp’s The Brahms-Haydn Variations and Millepied’s Daphnis and Chloe, on Friday night. Lang held her own, and her more introspective ballet offered the variety that Daphnis and Chloe was lacking. And while Tharp’s piece shows her formalist genius for shifting patterns, a sort of kaleidoscopic mathematics on stage, it was Lang’s choreographic idiosyncrasy that captured me – asymmetry, a little something unexpected, perhaps even disconnected; quick shifts from the 19th century to the 21st, from Sylphides to Serenade to … to what? That was the underlying question of the ballet for me, like what as women in ballet do we do with the social and aesthetic holdovers from the 19th century. To me, “Her Notes” examines a transformation of consciousness, that of a woman who is supposed to be a muse, but instead decides she must be a creator. Partly through its choice of composer, but also in its focus on a single female character, Lang’s ballet signals its preoccupation with the female authorial voice; the piece is set to music by Fanny Mendelssohn Hensel, the sister of composer Felix Mendelssohn. Fanny Hensel composed over 400 pieces of music, but as a woman she was discouraged from publishing these works. It’s hard not to imagine that the lead woman, Gillian Murphy, was not some avatar of Mendelssohn-Hensler in the ballet. Two women (played by the serene Devon Teuscher and Stephanie Williams) appear to shadow the female lead and her partner Marcelo Gomes through the ballet. I thought they were like younger or older versions of her, or her interior or reflective self. They return at the end of the ballet to lead a reflective Postlude. 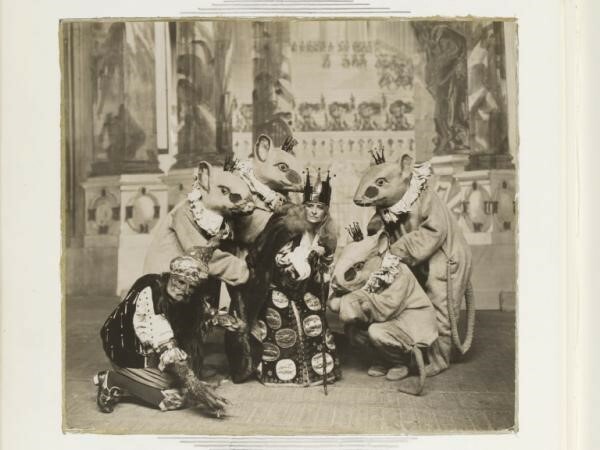 Other sections of the ballet are more episodic, in keeping with the music’s status as a kind of musical travel diary that Fanny Mendelssohn Hensel kept over one year’s time. At moments I waited for Lang to connect the brilliant use of the set in the opening and closing images more concretely with the action. (A moveable gray square, with a smaller square cut out of it, appears as a house, a window, a ceiling, a jail; at first I thought this was going to be the ballet version of The Yellow Wallpaper.) But the ballet negotiates a fine line between the abstract and the narrative, and perhaps we are left deliberately to connect our own dots. Bottom line: I’d like to see it again. 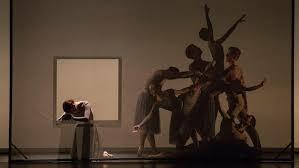 I saw Ratmansky’s Serenade after Plato’s Symposium twice on Saturday at the matinee and evening performance. I’ve seen it three times now, and each time it reveals more. 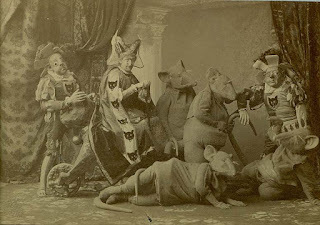 And this is a ballet where a change of cast can overturn what you thought the ballet was about the last time you saw it. But that’s a good thing – each dancer shows us a new shading of the movements, evoking different emotional resonances and enriching the whole. When I watch this ballet, I am struck by my overwhelming desire to be a part of the idealized social world of Ratmansky’s Symposium. Philosophical explorations of the meaning of love, and truthful emotional expressions and experiences, are met with openness, with friendship, and with humor by the group. It’s deeply moving to see a model of human society where vulnerabilities can be expressed and received. (Symposium as support group? 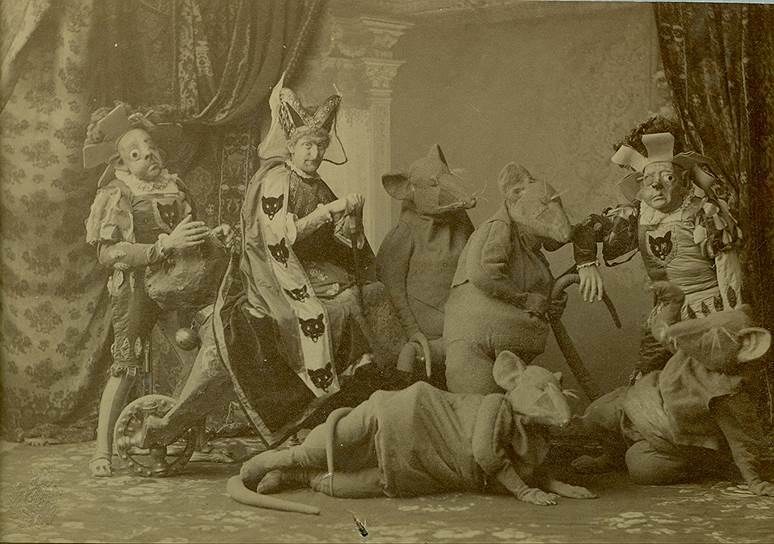 A ballet rendering of an ideal AA meeting?) Multiple viewpoints, different temperaments – they all come together, and they are all accepted, in the Symposium. Human beings are held in their full complexity, from their foibles to their moments of insight and greatness. And all of it is rendered delicately, lovingly, richly, by Ratmansky’s choreography. What an ideal for us to hold on to at this time when public discourse has reached a new low. I received my PhD in Performance Studies from the University of California, Berkeley. Ballet history and aesthetics are my passions. Currently I serve as 2016-17 Resident Scholar at San Francisco Ballet, where I lecture and teach on dance history topics. I also teach in the LEAP program at St. Mary's College. I danced in a Balanchine based company (Fort Worth Dallas Ballet) in the 90s and attended the Kirov School in Washington, DC. I believe that at its best, ballet is not just a pretty entertainment but a deeply spiritual and poetic art form. Delving into its history, its interpretation, and its evolution is how I connect to a sense of purpose. I believe that one can approach ballet intellectually as well as emotionally or sensorily. I have deep respect and love for this extremely special art form, and at the same time I have conviction that the holdovers from another age (racism, sexism, colonialism) ought to be phased out.